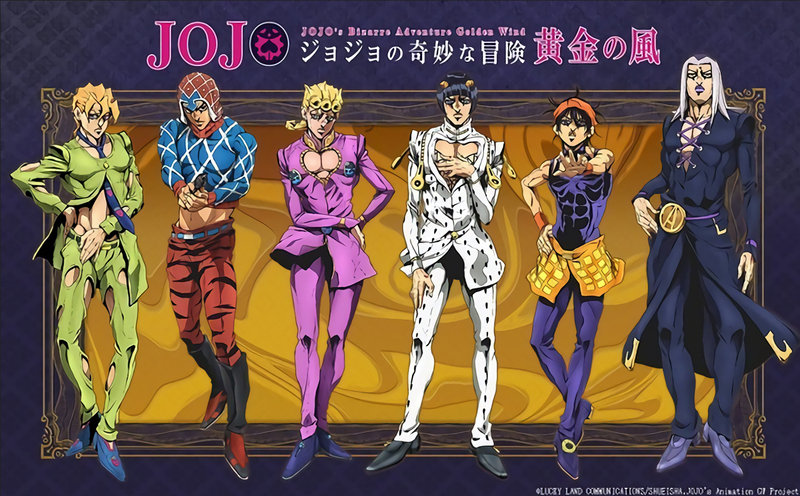 As of just a few hours, ago Jojo’s Bizarre Adventure Vento Aureo (Part 5) (AKA Golden Wind) was just confirmed for October. Its been just under two years since Diamond is Unbreakable finished airing and Jojo fans had been hanging on desperately since the then, but now the wait is finally over. We will be getting the casting announcements of the 5th of July so keep your eye out for that. I personally can’t wait as just recently I’ve become a huge fan of Jojo and it just so happens that this announcement has come out as I’m in the middle of reading the part 5 manga.